Published March 14, 2018 at 1024 × 683 in A photo gallery: Call Me Royal. 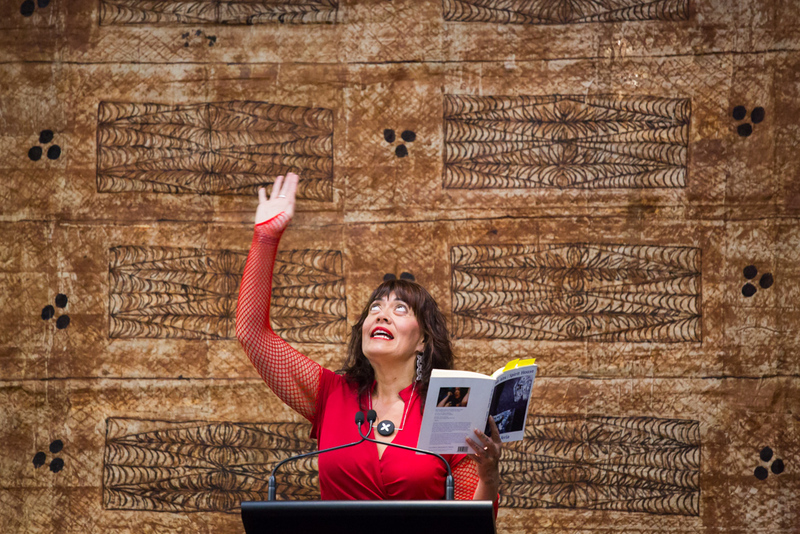 A Readers and Writers evnet with the New Zealand Poet Laureate, Selina Tusitala Marsh, who performed her epic “The Queen’s Sequence”, inspired by her meeting Queen Elizabeth II in 2016 and other queens. After the interval fellow poets Tusiata Avia, Serie Barford and former Laureate Jenny Bornholdt who shared selected readings, with poet Paula Green as chair. Tusiata Avia.